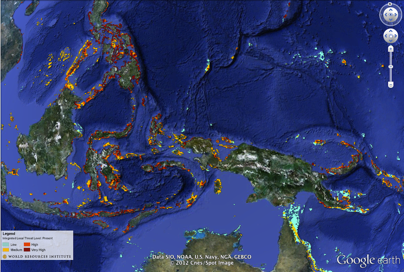 There are a lot of amazing sites around the world, and thanks to Google’s various technologies such as Street View and Google Earth they’re easier to explore than ever. 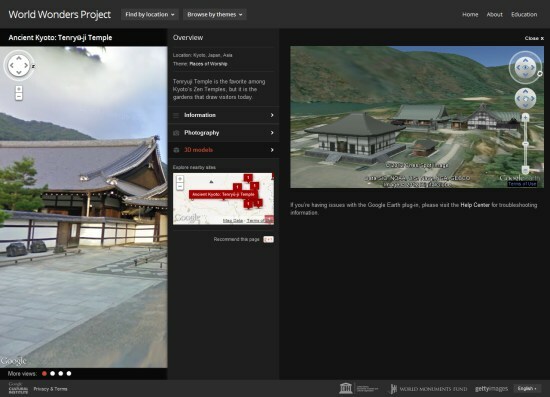 Google has now taken 132 historic sites from around the world and put them together into a single showcase called the World Wonders Project. 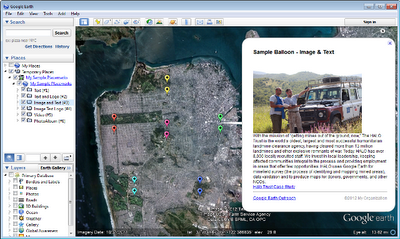 The sites all include Street View imagery (much of which was captured using a Street View Trike), photos, videos, and 3D models in Google Earth. Do you have a spreadsheet of locations that you’d like to see on a map? Here on the Google Earth Outreach team we talk to many nonprofits who use Google Earth and Maps to tell their stories and visualize their data. Often the data is in spreadsheets, or other tabular formats. Converting these rows and columns into a map brings the spreadsheet to life by providing geographic context and a new way to visualize the information. Spreadsheet Mapper is a tool that enables anyone to easily create a well-designed KML file to show off their data in Google Earth and Maps. Since Spreadsheet Mapper is a Google Docs template, you fill in your data using the familiar interface of a spreadsheet, and create a great KML without any coding. It gives you all the cloud-based benefits of Google Docs, including collaborative editing and the ability to publish directly to the web. Ready to try it? The Spreadsheet Mapper v3 tutorial will get you started.